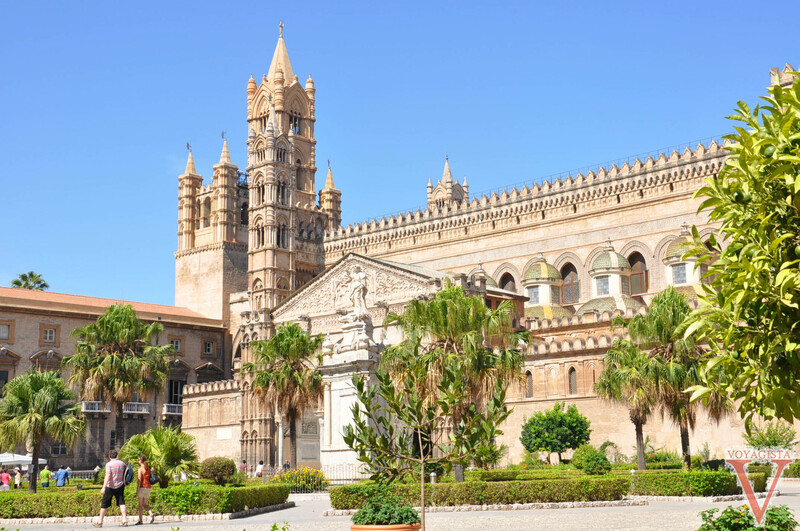 Italy – Palermo: as good as the rest of Sicily? Palermo was the last stop on our wonderful Sicily tour. However, we were a bit anxious about driving into the city as Palermo’s reputation for chaotic traffic meant we were wondering if we were going to make it to the end of the trip without getting completely lost or having an accident! In the end we made into town as after a week on the road, the Sicilian style of driving had rubbed off on us – we were able to make a little sense of the chaos and successfully compete for our space on the roads. Once in town we we able to dump the car and discovered some magical places on foot. One of these was the Palatine Chapel. This chapel, a mix of norman and arabic art, blew me away with it’s magnificent mosaic shining in the shadows: a mystical place! We also strolled on Corso Vittorio Emanuele to see the cathedral and San Cataldo. San Cataldo is a tiny church with three red domes, which became a post office before being restored to its original purpose. 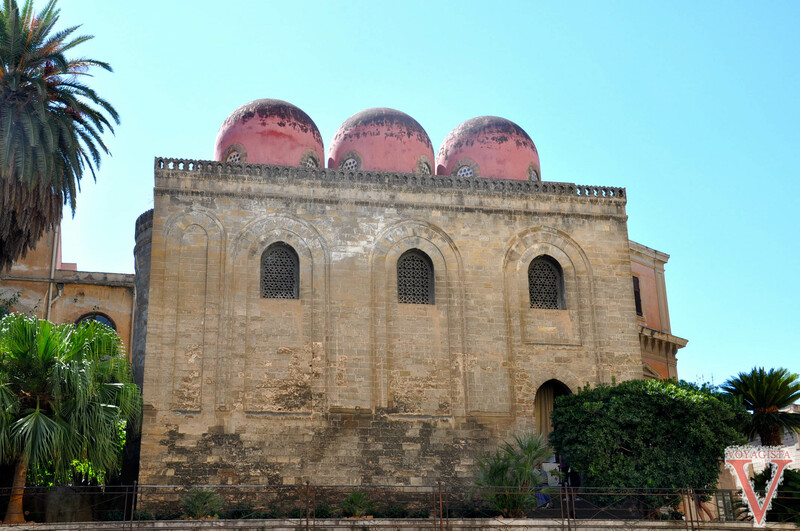 We then escaped the crowds to walk around the Kalsa area, where you can experience the real Palermo. 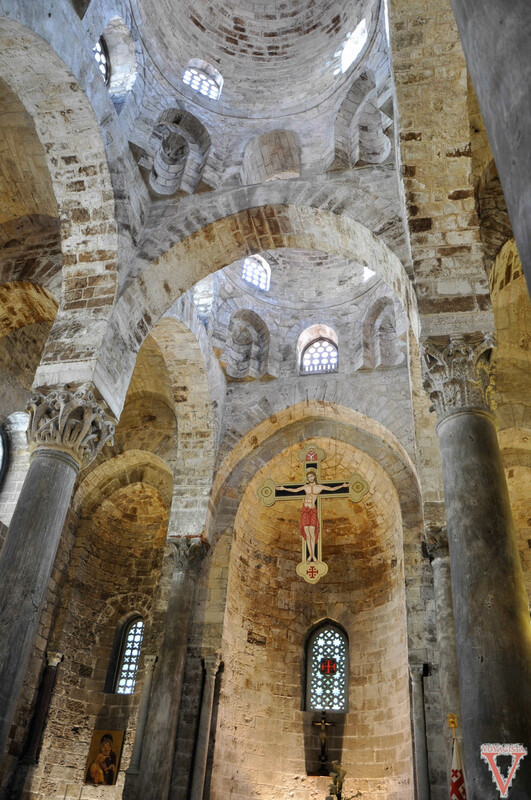 This is where you can see the incomplete Santa Maria dello Spasimo church. 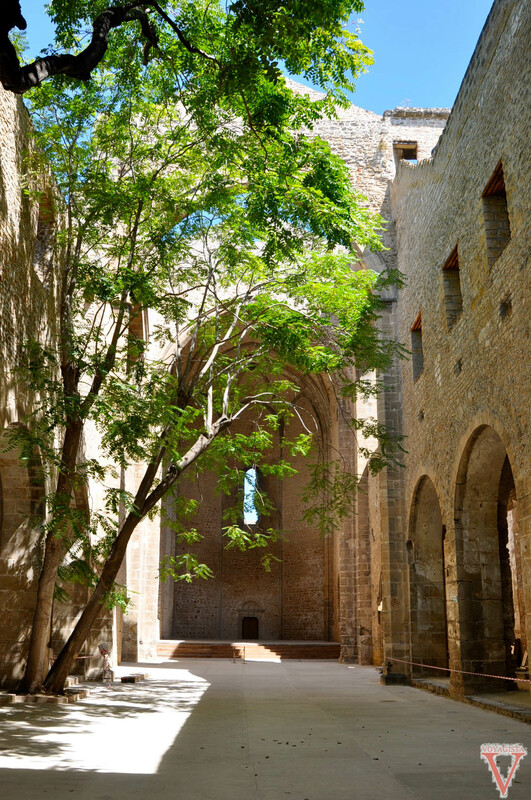 This church is a charming and peaceful place, with a tree growing in the middle and no roof over your head. Concerts are organized there in the summer. Did we enjoy Palermo? It was a mixed bag for us.Thanks to the advice from the staff at the Panormus, where we stayed, we also ate well in Palermo. check out the tips below. We did but not as much as the rest of beautiful Sicily for a number of reasons: the size and the decay of the city, as well as the unpleasant atmosphere in the evening compared to our other stops in Sicily. The Parnormus owner helped us enjoy the city by sharing his favourite addresses. This accommodation is well located – close to the train station and the airport bus. 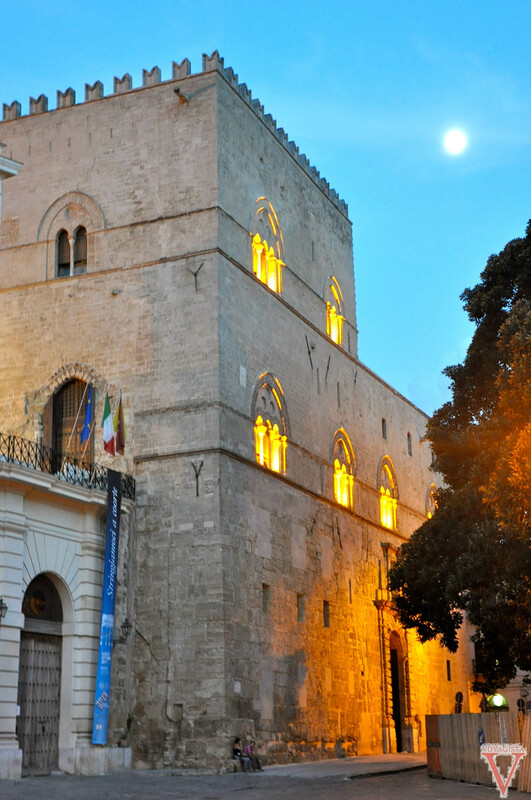 Ask the owner to show you the pretty view of Palermo from his quarters. 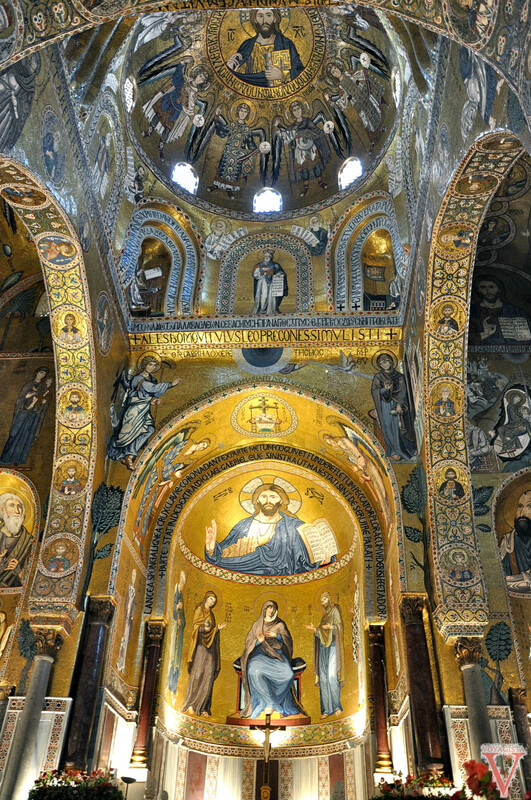 The Palatine Chapel entrance is located at the back of the palace and not where the parking lots are. Do check the visiting times: lunch break is observed and it can be closed when there is an official visit. There is also often a queue for entrance so get there early. For lunch in the Kalsa, go the Antica Focacceria. The restaurant is a bit touristy (so don’t go during the busy hours) but it’s fantastic for lunch. I recommend the eggplant involtini, the panelle e crocche and the pannini. Want to have a good pizza? The Pizzeria Biondo (Via G Carducci, 15) is a great place for mingling with locals. You can choose from an extensive list of pizzas, which are also extensively sized. 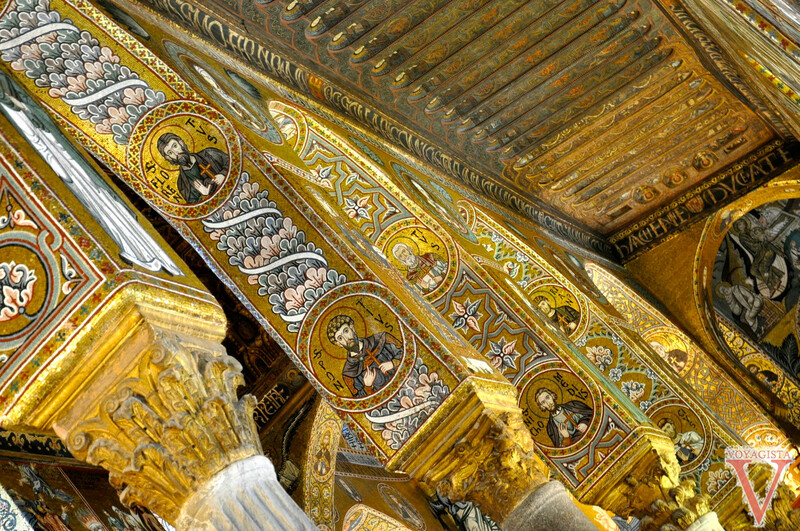 We wanted to go and visit Monreale but we lacked time, maybe next time.. Have you been there? What did you think?